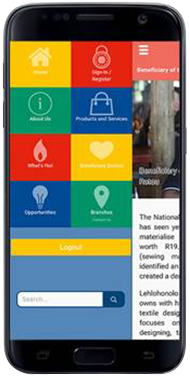 A Selection of our mobile apps designed for enterprises and consumers. 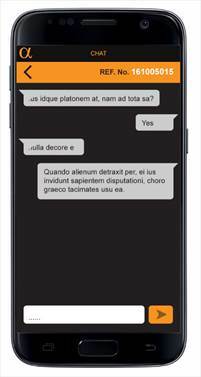 We also work with startups and small and medium-sized businesses. 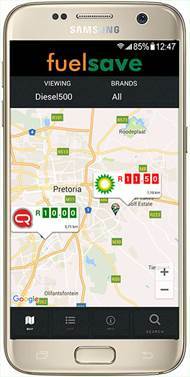 FuelSave is a mobile app that shows Fuel Stations or Petrol Garages in South Africa on a Map with their prices and products. 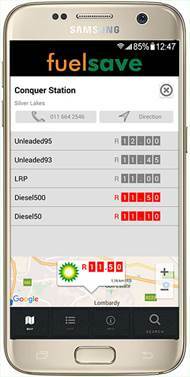 Currently, unlike Petrol the retail price for Diesel is unregulated allowing Fuel Stations to set their own prices for Diesel. 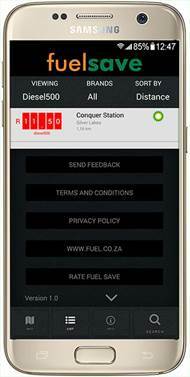 This app is aimed to help customers find the best Diesel price and hopefully in the future Petrol prices as well. 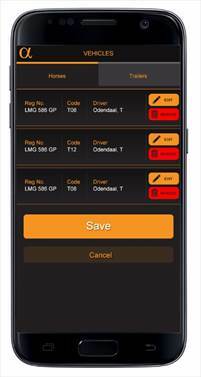 The app allows a user to set their product and sort by the closest Fuel Stations or best prices. 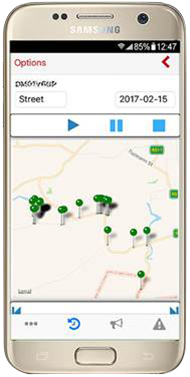 It also shows the contact details for the selected station as well as an option to get driving directions from their current location. 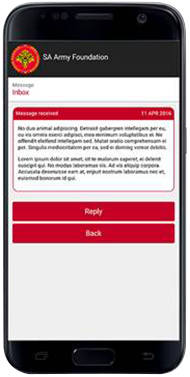 We developed the app for iOS & Android on Xamarin with a custom PHP & MySQL Content Management System. 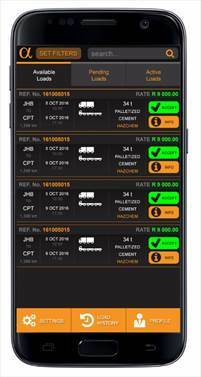 Pulstract is an app that integrates into a fleet management system developed by Aglo Technologies (Pty) Ltd. Aglo partnered with iSolve Mobility to assist them with the development of an Android & iOS App on the Xamarin platform. 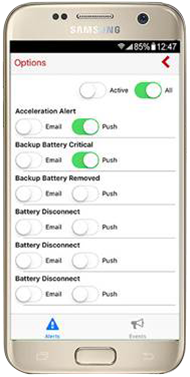 The app integrates with their existing fleet management system through web services and allow a customer to track their fleet on a Map as well as see any exceptions on accelerations, low fuel, alerts and other data. They can also play back the route a drive took on a map by looking at an animated sequence of pins. 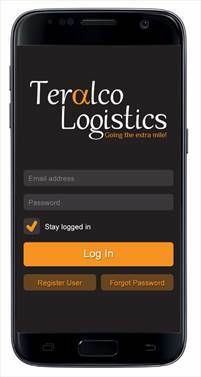 Teralco is in the logistics space and make use of their own drivers as well as sub-contractors for their deliveries. 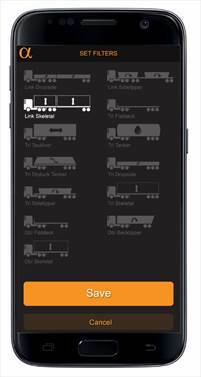 We developed a cutting edge app for them that allow Teralco to operate their entire delivery operation from a web based control center where they can create load requests, push loads to drivers, chat to drivers, or track deliveries on a google map. 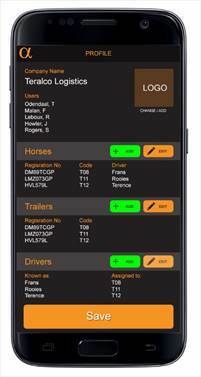 Drivers can update their statuses from the app and manage all their load requests easily and without any paper. 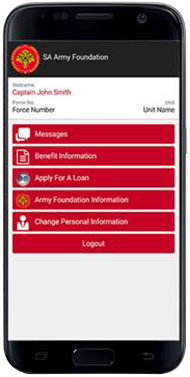 Proof of Delivery (POD) pictures are taken with the camera and automatically sent back to the operations center. 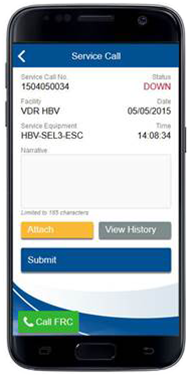 Airport Traffic and Navigation Services partnered iSolve Mobility to develop an app for their Technicians and Supervisors that work in the field. 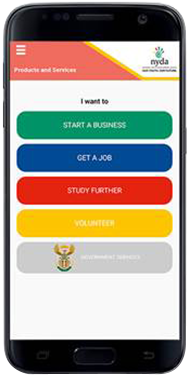 They make use of Microsoft Dynamics (CRM) for the job card and issue tracking system which had to be accessed via Remote Desktop over sometimes slow VPN connections due to the remote areas and nature of their work. 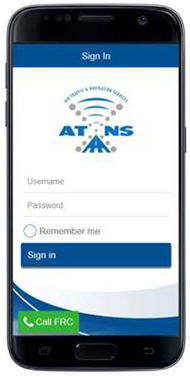 Through a mobile app we we’re able to integrate with CRM that make it possible for their Technicians to access their job cards with minimal data use and availability as well as to update their job card statuses. 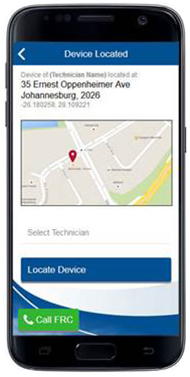 Supervisors can also track the whereabouts of technicians. 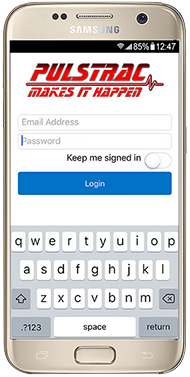 The app was developed as a cross platform app on Cordova with Restful services and .NET Web Services integrating into CRM. 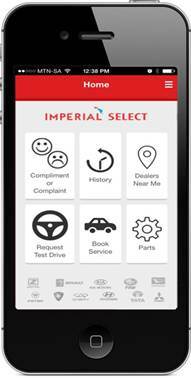 AMH which form part of the Imperial Group and distributors of some of the most famous car brands in South Africa contacted us to develop a Customer Care app with an accompanying Help Desk system that we built from the ground up. 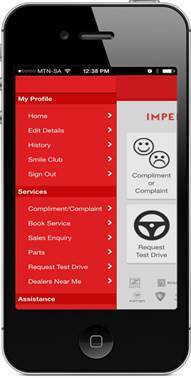 The system features a mobile app on Android and iOS devices for customers and allow them to select their vehicle Brand, Model and Make and submit several type of requests which include: Request for Test Drive, Service Call, Complaint or Compliment as well as to find their nearest Dealers. 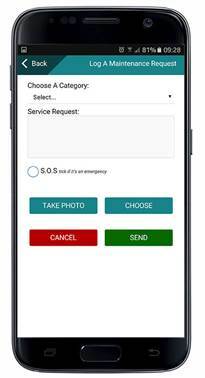 The Web Based HelpDesk that we developed makes it easy for AMH to manage the ticket requests, follow up and track KPI’s on response times to improve overall customer satisfaction. 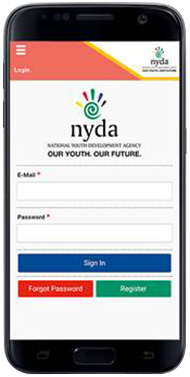 We developed the NYDA (National Youth Development Agency’s) Mobile App that reaches out to thousands of youth and give them access to the latest news, beneficiary stores and application form access to gain from the various services that NYDA offer to the youth of South Africa. 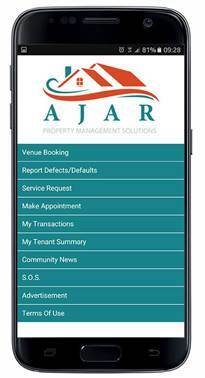 Johannesburg based AJAR is a property management application design for estates and complexes. 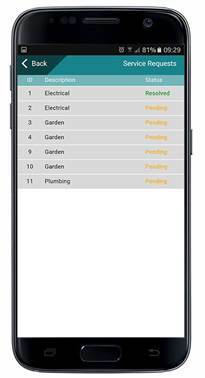 The aim is to make it seamless for tenants to log maintenance faults, complaints, book a service like a tennis court and to get notifications from visitors or alerts from security. 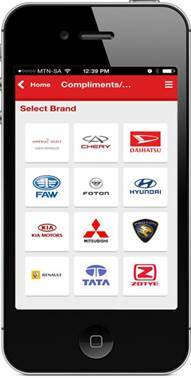 The solution includes a full custom management system for rental agencies and body corporates. 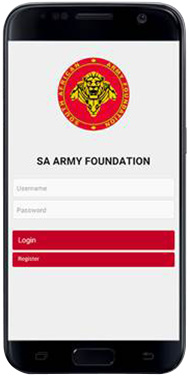 We developed the SA Army Foundation headquartered in Pretoria's app for iOS, Android and Windows Devices that allow members of the foundation to access their personal and policy information from the convenience of their mobile devices.